Hardcover, 10.25 x 12.5 in. / 92 pgs / 52 color. Edited by Laurence Kardish and Juliane Lorenz. 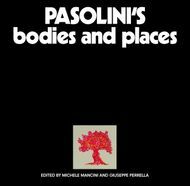 Essays by Wim Wenders, Jeanne Moreau, Thomas Elsaesser, Georgia Brown, Wolfram Schütte, Harry Baer, Volker Schlèndorff and Hanna Schygulla. Foreword by Glenn D. Lowry. 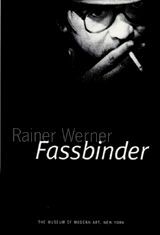 In this book of writings by and about Fassbinder, revealing statements by the artist himself are published in English for the first time. 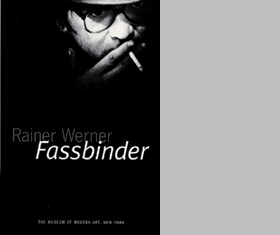 In addition, film historian Thomas Elsaesser and Georgia Brown, film critic for New York City's Village Voice, provide a critical framework that is at once comprehensive and illuminating; and Frankfurt film critic Wolfram Schtte examines Fassbinder's place within postwar German film history. 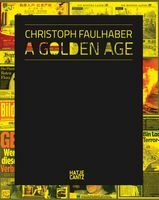 The volume also contains an illustrated filmography and recollections by colleagues and friends, including Fassbinder's editor, Juliane Lorenz, the actresses Hanna Schygulla and Jeanne Moreau, and fellow directors Wim Wenders and Volker Schlondorff. Edited by Hubertus Gaßner, Petra Roettig. Text by Sabeth Buchmann, Zoltán Kékesi, Matteo Pasquinelli. Edited with text by Yves Aupetitallot. Text by Jef Cornelis. 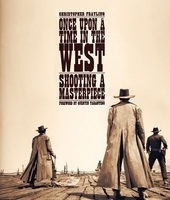 Foreword by Quentin Tarantino. Text by Christopher Frayling. Photographs by Angelo Novi. Edited by Jaap Guldemond, Marente Bloemheuvel. Text by Consuelo Lins. Edited by Jaap Guldemond, Marente Bloemheuvel. Text by Dana Linssen. FORMAT: Hbk, 10.25 x 12.5 in. / 92 pgs / 52 color.